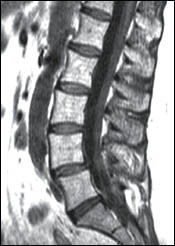 You need the upright scan to see the spinal instability in this patient with recurrent low back pain following an L4-S1 fusion. 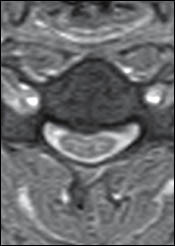 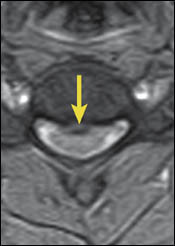 Upright imaging revealed increased downward herniation of the cerebellar tonsils (arrow). 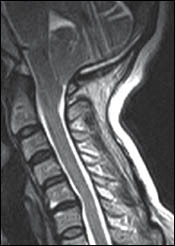 Subsequent neurosurgery (a posterior fossa decompression) eliminated the patient's sudden drop attacks. 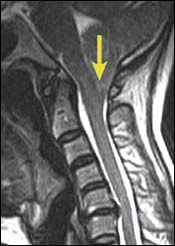 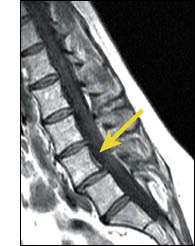 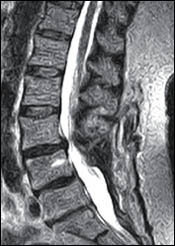 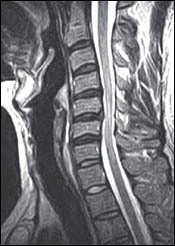 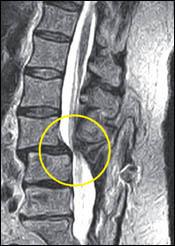 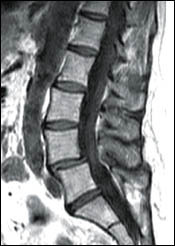 You need the upright scan to see the position-dependent focal posterior disc herniation at the C4/5 level (arrow). 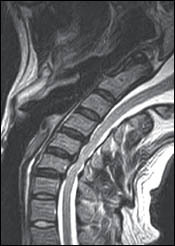 Note the asscociated spinal cord compression on the standing-extension scans in both the sagittal (top left) and axial planes(bottom left).